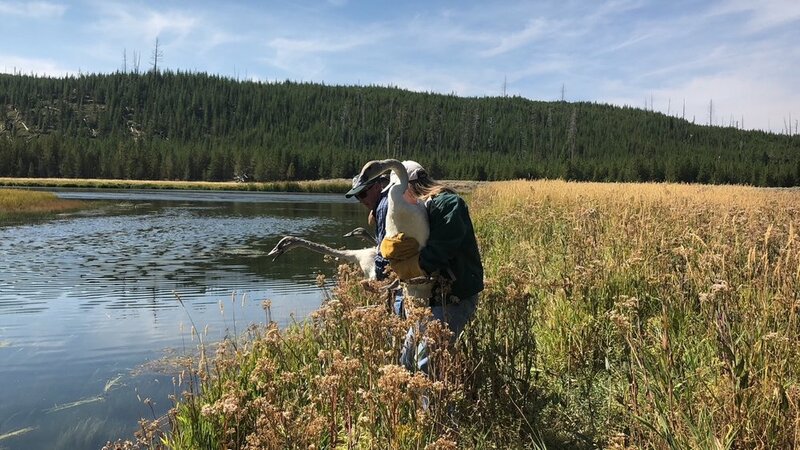 Yellowstone National Park have collaborated in the Trumpeter swan restoration effort. Since 2011, we have released 39 swans. Because it takes at least four to five years for swans to mature and form stable pair bonds, we are only now beginning to see results from this long-term effort. Of the birds released, at least 20 of them have survived and several are now paired. Our hope is that beginning next year the number of breeding Trumpeter Swans within Yellowstone National Park will begin increasing. We will end the restoration work once Yellowstone National Park reaches its population goals.